The southern California waters are teeming with life! Most species that we target make excellent table fare. 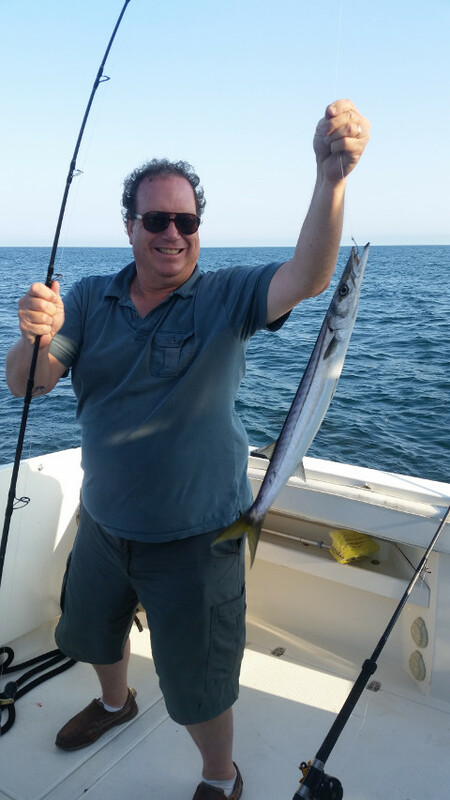 If you don’t intend to take home your catch, LA Sportfishing highly encourages the practice of catch and release!! 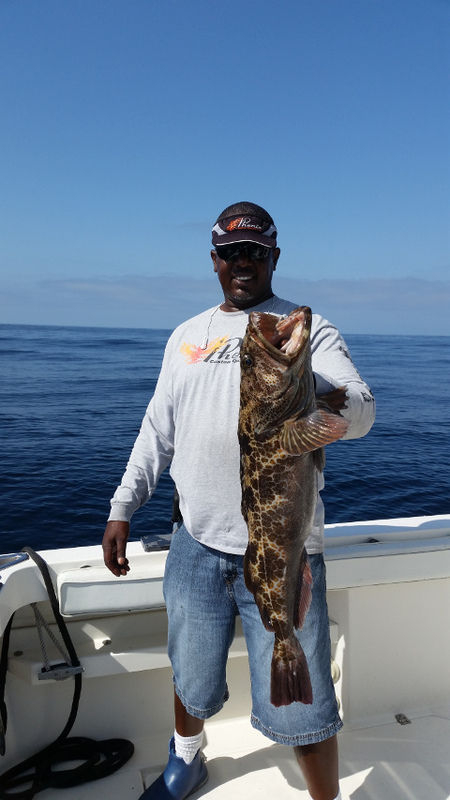 The following chart represents a guide to the Southern California local fishing seasons. Below the chart are some photos and descriptions of some of the local fish caught in our area. All photos were taken aboard the MARSEA and were caught with Captain John at the helm. There are dozens of species of rockfish that inhabit the local waters. Most are deep water species that we catch from 180 to 360 feet. 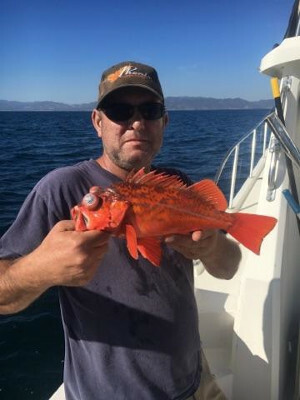 Some of the best are the Vermillion Rockfish (locally known as red rock fish or red snapper) and the Copper Rockfish (Chuckleheads!) 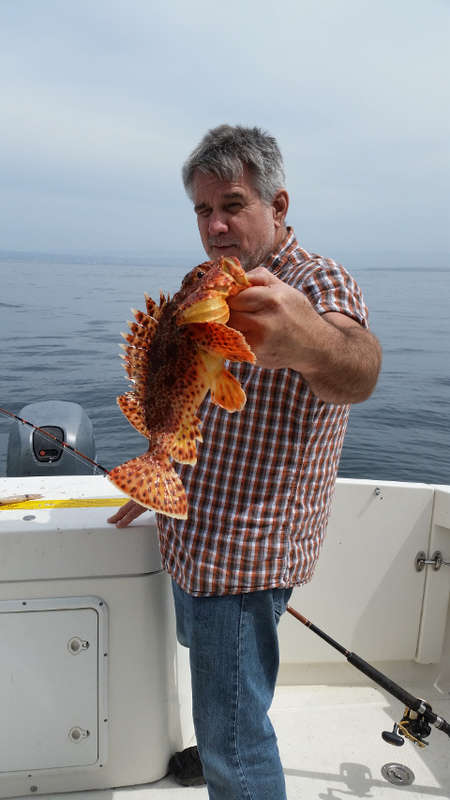 Rockfish season is open from March 1st to December 31st. Rockfish are excellent table fare. 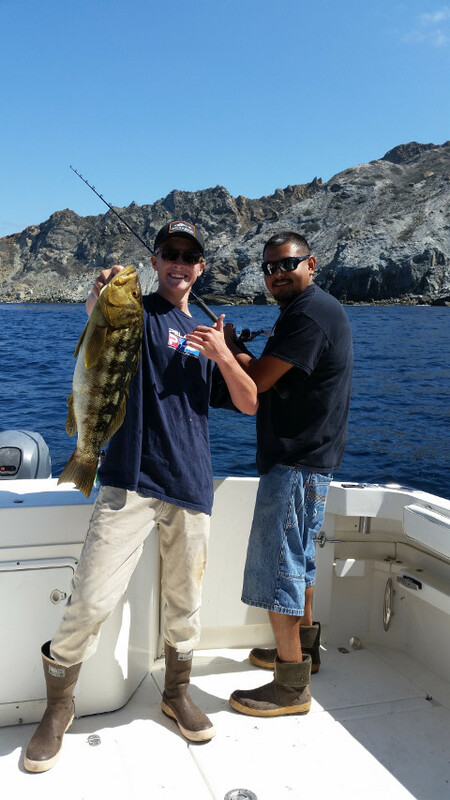 One of the Captain’s favorite species to catch, Sand Bass are extremely good fighters. They are usually caught around rockpiles and reefs in 50 to 120 feet of water. The legal size for Sand Bass is 14 inches. Legal fish usually weigh between 1 and 6 pounds but some of larger ones can reach upwards of 8-10 pounds. Sand Bass are fair table fare. Some people really love em while others say they’re just fair. One of the most beautiful species in the Southern California area, the Calico Bass looks like its wearing a sportcoat! These fish can usually be found in and around reefs, rockpiles and kelp forests in 40 to 100 feet of water. In the warmer months, Calicos come to the surface to feed. Watching them swarm around your bait is a real treat! The legal size for Calico Bass is 14 inches. Legal fish usually weigh between 1 and 6 pounds but some of the wise old calicos can reach upwards of 10 pounds. Calico Bass are great table fare. Definitely better than the Sand Bass, locals love calico fish tacos! Voracious feeders, the Pacific Barracuda are a blast to catch. The legal size for Pacific Barracuda is 28 inches. We usually see the barracuda move in when the water warms up. A pelagic species, barracuda are usually found in schools near the surface. We’ve had a lot of success fishing barracuda out at the islands and along the local kelp forests. Some consider barracuda excellent table fare. They do have a strong fishy taste so it really depends of your palette. Smoked barracuda is a wonderful treat! Members of the Tuna family, the Pacific Bonito is one of the most exciting fish to catch. They are incredible fighters and there’s nothing like the rush of hooking one of these feisty fish on light tackle. Bonito are a pelagic species that invade the coast and the islands when the waters warm up. For years, the bonito had a reputation as a poor quality fish with regards to table fare. Recently, however, many anglers have learned that when bonito are properly prepared, they can be quite tasty. The key is to bleed them immediately and get them on ice quickly. When fileting bonito, remove the bloodline from the filets and you have a tasty filet that cooks up wonderfully! Smoked bonito and bonito tuna salad are some of the local favorites. 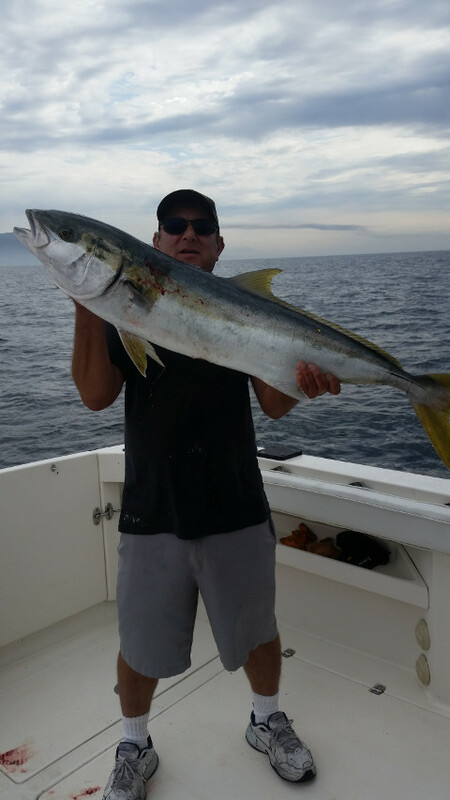 Yellowtail is the number one premier game fish in our local waters. We see schools of yellowtail locally when the water warms up, especially in El Nino years. Catalina and Santa Barbara Islands are two hot spots within our range that can produce some of the larger models. Most yellowtail follow the bait fish and move up the coast further north closer to our area as the water warms however some of the larger “homeguards” stay local year round. Yellowtail can range in size from 2-5 pounds up to real beasts in the 30-40 pound range. 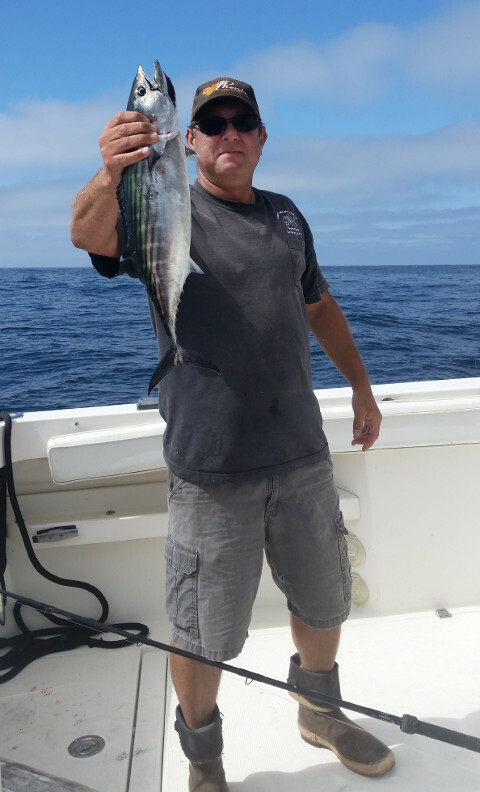 Yellowtail are highly sought after because of their fight and they are absolutely delicious to eat! The elusive “Gray Ghost”, as the locals refer to them, are one of the local inshore trophy fish in our area. Easily spooked, the White Seabass is a strong fighter when hooked. Make sure your gear is in top shape and your drags are set properly. It’s a shame to lose one of these giants because you might only have one shot at them. 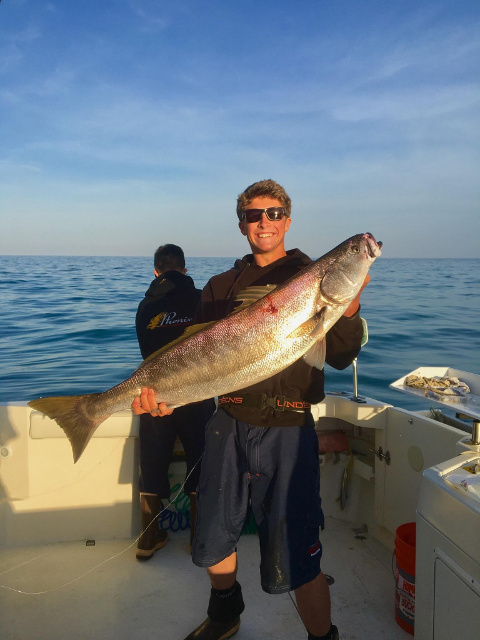 White Seabass can grow up to 60 pounds or larger. The California state record for a WSB was a whopping 93 pounds. It was speared by a diver right in our backyard in Malibu in 2007. The legal size for a WSB is currently 28 inches. White Seabass are absolutely delicious and can be prepared numerous ways. 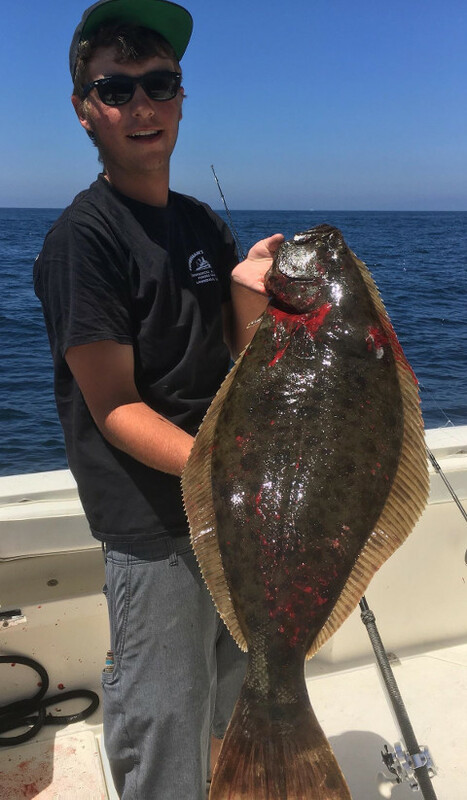 The California Halibut is a flatfish and a type of flounder. They lurk in the sand or loose gravel usually close to rocky bottoms just waiting for unsuspecting prey to swim their way. While smaller than their cousins, the Pacific Halibut, California Halibut are just as tasty and can grow upwards of 40-50 pounds. Pacific Halibut are usually caught in 10-80 feet of water. Halibut can be caught year-round although springtime usually produces the best halibut fishing. Lingcod are neither Lings nor Cod. It is believed that they get their name because they resemble a Ling in appearance and have a taste very similar to Cod. These prehistoric looking beasts are voracious feeders with rows of intimidatingly sharp teeth. Lingcod inhabit deeper waters (100-300 feet) and live in rocky crevices and structure. Lingcod are legal to fish for 10 months of the year (March 1st to December 31st). 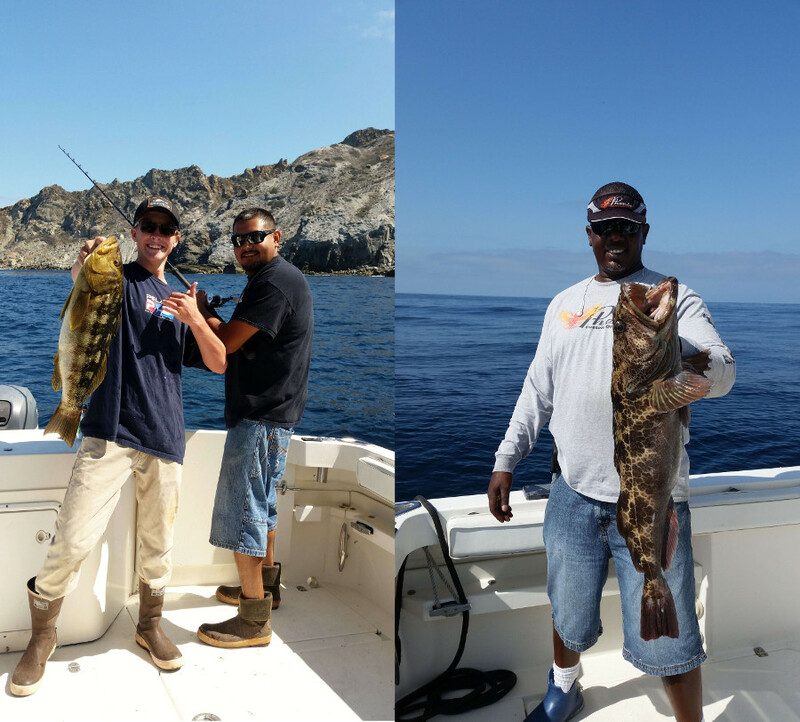 Strong fighters, the larger Lingcod with give you a run for your money. It’s well worth the fight, though, as the Lingcod is a delicious deep water treat! 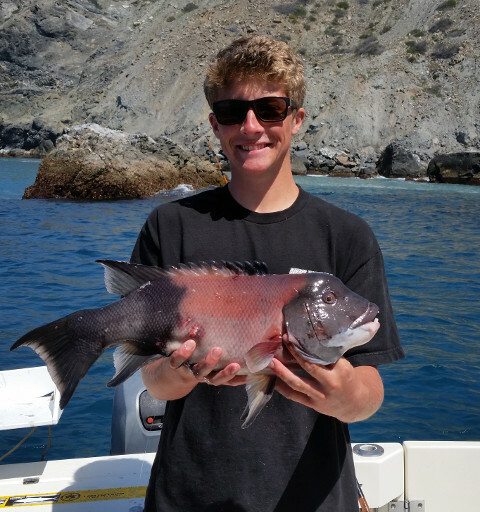 The California Sheephead is a type of Wrasse that lives in our local waters. They can grow upwards of 30 pounds but most locally are in the 5 pound range. All Sheephead are born female and then morph into males as they get older. These fish have absolutely beautiful markings after they change into males. They are bright pink, black and white with human-like teeth that are unmistakable. Sheephead usually live around rocky reefs and around kelp beds. We’ve caught some of the larger sheephead out at the islands. 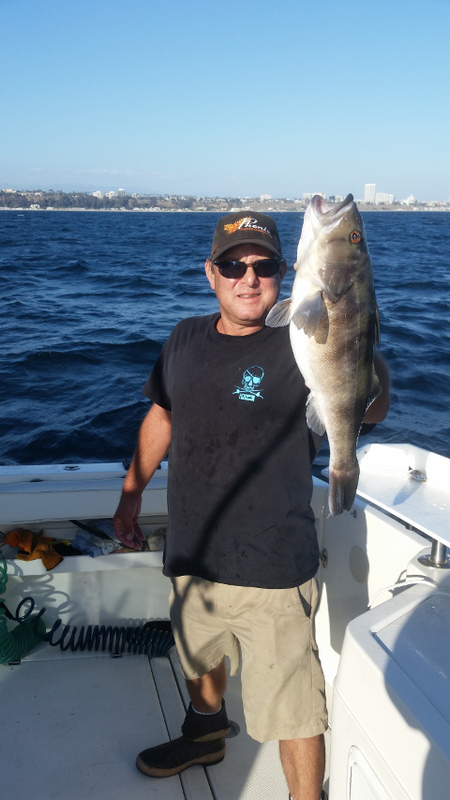 Of all of the fish that we target, the Sheephead is one of Captain John’s favorite fish to eat when fresh! Lobster in California? Many people are surprised to learn that we’ve got absolutely delicious lobster right here in our backyard. 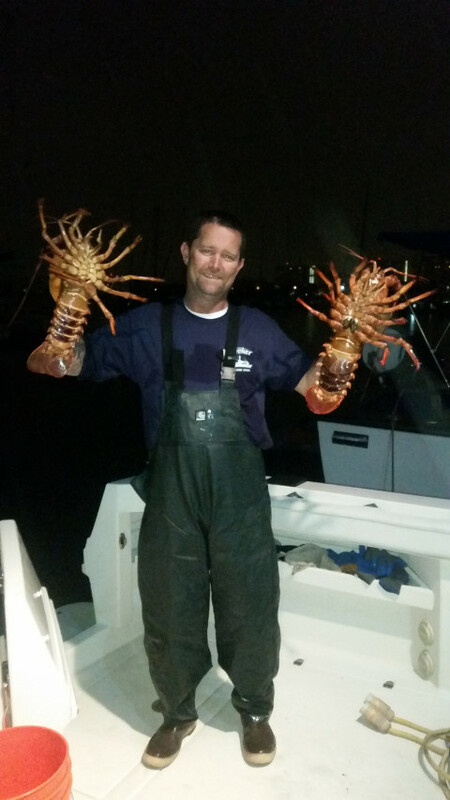 The California Spiny Lobster can reach upwards of 15 pounds but most of the legal sized lobster we catch are from 2-5 pounds. Lobsters hide in rocks and crevices during the day but come out and crawl in search of food after the sun sets. Lobster hooping season in California runs from roughly the beginning of October until mid-March. Captain John has a few “honey holes” located just a few miles from our harbor. If you’re looking for an adventure, you can’t miss one of our hooping trips!